The LPRCA promotes increased understanding of the unique resources of the Lower Platte River, including our communities. We partner with agencies and organizations to conduct research on both the physical and social resources of the Corridor. We also publish a biannual newsletter, the Platte River Update, to help spotlight the work of the LPRCA, cities, counties and other organizations. 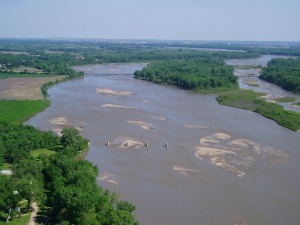 The LPRCA understands that there is so many important efforts and additional resources that we try to capture and link to the information on the web that can further the understanding of the complexities and uniqueness of the Lower Platte. Please browse through the various publications, resources, and news in this section. Also, we would love to hear from you if we've missed any information and also if you'd like to sign up for Platte River Update. Thanks for helping us protect, enhance and restore the Lower Platte River! Note: This is a larger than average download. Depending on internet speed download can take 2-3 minutes.